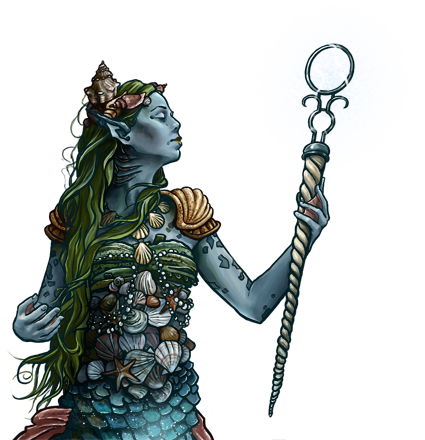 Among merfolk, mysticism is generally left to the mermaids, who are more inclined to it. It is they who dedicate themselves to the ideal of bringing peace and life to the world, and to the arts which make that possible. Their piety also grants them certain powers, allowing them to guard their people against magical or unnatural things. Special Notes: This unit has magical attacks, which always have a high chance of hitting an opponent. This unit’s arcane attack deals tremendous damage to magical creatures, and even some to mundane creatures. This unit is capable of healing those around it, and curing them of poison. Last updated on Sat Apr 20 00:45:57 2019.